RDA Holding Company, which you may know as Reader’s Digest, has filed for Chapter 11 bankruptcy again. This is the second time in four years that the legendary magazine publication has been forced to file for Chapter 11. The company, who has been around for 91 years, says they are in desperate need to cut down on their debt in order to keep their doors open. Reader’s Digest consulted with a bankruptcy attorney and opted to put a restructuring plan in motion with their creditors. The plan will convert $465 million of debt into equity and the company says that they plan to be out of Chapter 11 within at least six months. Like so many other print publications, RDA has taken a real punch from the Internet during the last decade. This is largely due to the fact that so many publications are now available online or with an e-reader, like a Kindle. In fact, Reader’s Digest circulations have decreased by nearly two-thirds since 1995. What’s amazing is that Reader’s Digest is still one of the most popular and frequently read magazines in the world. They are the fifth largest consumer magazine by circulation in the United States and is a globally recognized brand. And yet, they too were in such a deep amount of debt that they needed to file for bankruptcy protection. RDA publically stated that they will end up cutting around 80 percent of their debt with the Chapter 11 bankruptcy filing. However, they will still end up holding a little over $100 million in debt after the restructuring. RDA garnered $45 million in new financing from a group of several lenders in order to keep Reader’s Digest afloat during the bankruptcy process. They have no plans to stop publication of the magazine while going through the Chapter 11 process. Back in 2009, RDA filed their first Chapter 11 bankruptcy with the courts. This was during a time the entire country was reeling from a recession. 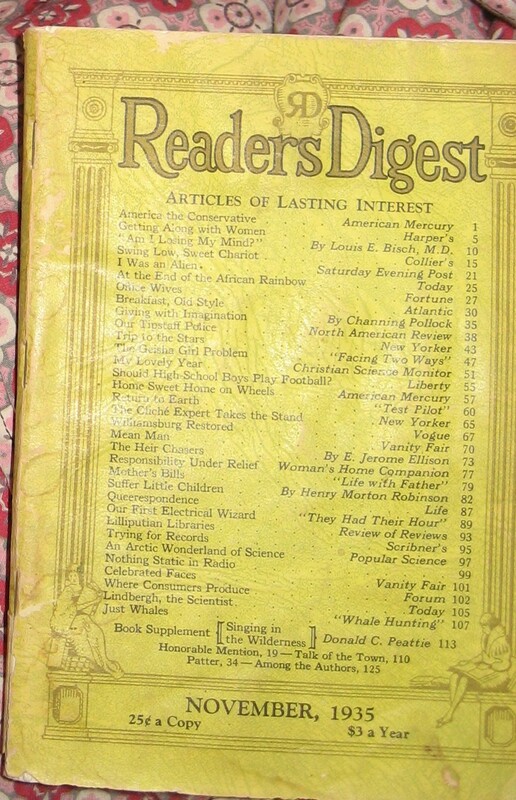 Publications like Reader’s Digest were hit hard as a result of most consumer’s being forced to tighten their purse strings. They successfully completed the bankruptcy process in the early part of 2010, but have never fully recovered to their original financial status. Unlike Chapter 7 and Chapter 13 bankruptcy filings, you don’t hear very much about Chapter 11 in the news until a well-known corporation, like Reader’s Digest, files for protection with the court. Chapter 11 bankruptcies actually make up less than 1 percent of all filings. In 2012, Chapter 11 filings fell 14 percent to 10,921. Chapter 11 bankruptcy is a form of bankruptcy reorganization that individuals, corporations and partnerships are able to file. Unlike Chapter 13, there are no limits on the amount of debt that can be included within a Chapter 11 bankruptcy. It is the most common type of filing for large businesses, as individuals usually file Chapter 7 or Chapter 13. Under Chapter 11 protection, the debtor remains in possession of their own assets and operates under supervision of the court. In certain circumstances, a trustee may be appointed by the court. The United States Trustee will usually appoint a creditors committee that is made up of the company’s 20 largest, unsecured creditors. None of the committee members can be company insiders. This committee represents each creditor, providing continuous oversight for the company’s day-to-day operations. Another unique feature to Chapter 11 bankruptcy is the debt reorganization plan. Once the company comes up with a feasible plan to reorganize their debts, it must be confirmed by the creditors. The creditors are divided into classes, based on the specifics of their claims. They must each vote “yes” in order for a company’s reorganization plan to be approved. If the company cannot get their plan approved by the creditors, they can make a move to get the plan okayed despite the opposition, so long as they meet specific statutory tests. Chapter 11 is generally considered the most “flexible” form of all the bankruptcy chapters and has been extremely beneficial to some of the most powerful corporations in the nation. Due to that fact, Chapter 11 is extremely difficult to navigate without an experienced North Carolina bankruptcy attorney by your side. Business are normally able to bounce back after a Chapter 11 bankruptcy, finding light at the end of the tunnel after shedding their debt burden. If you or your business are in need of Chapter 11 bankruptcy reorganization, do yourself a favor and speak with a local North Carolina bankruptcy lawyer today.